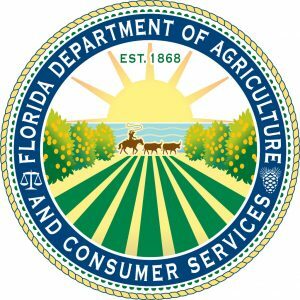 Florida Commissioner of Agriculture Adam H. Putnam announced the recipients of the Commissioner’s Agricultural-Environmental Leadership Award, which recognizes the environmentally innovative farming techniques of Florida’s farmers and ranchers. 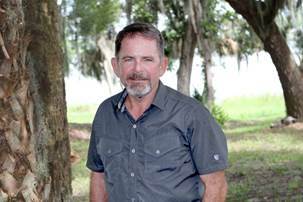 This year’s recipients are: Jim Strickland of Blackbeards’ Ranch in Manatee County, Chuck Allison of Wild Goose Farms in Umatilla and James Shinn of Shinn Groves/ Tree O’Groves in Lake Alfred. Florida’s commissioner of agriculture has presented this award annually since 1994 to Florida’s growers and ranchers who are committed to preserving Florida’s resources while providing agricultural products. Blackbeards’ Ranch is a 4,530-acre commercial cow-calf operation in Manatee County. Managing partner Jim Strickland is an acclaimed steward of the land, implementing practices that sustain wildlife, support land restoration, combat invasive plants and renew water quality. Blackbeards’ Ranch serves as a site for many conservation studies, including a partnership with Florida Fish and Wildlife Conservation Commission to study the Florida panther. Restored wetlands store clean water that is provided to the city of North Port, Myakka River and Charlotte Harbor estuary as necessary. Additionally, to help ease the impact of invasive plants, Strickland was one of the first landowners to participate in a mole cricket control project. Strickland has worked to preserve the ranch’s working agricultural lands and their immense environmental benefits by participating in the Rural and Family Lands Protection Program, Florida Forever and the National Resource Conservation Service’s easement program. Wild Goose Farms, owned and operated by Chuck Allison, is a family-run, 905-acre farm. The family operation includes citrus, blueberries, cattle and hay. To maximize irrigation and fertilizer efficiency, reduce leaching and deep percolation, Allison implemented a multifaceted approach to water conservation and nutrient management, including soil moisture sensors, drip irrigation and a fertilizer injection system. In blueberry production, this technology reduced water usage by 20 percent and increased yield by 30 percent. Due to the success with blueberries, Allison recently replicated this technology in his citrus production. Wild Goose Farms emphasizes environmental stewardship through an outreach program of farm tours, workshops, local school programs and student visits. Shinn Groves/Tree O’Groves, Inc. in Lake Alfred has been family owned and operated for 37 years, and is currently headed by James Shinn. 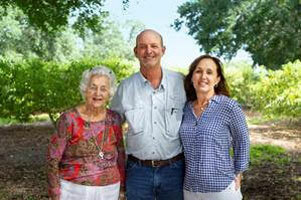 The innovative family operation includes citrus, cattle and peach orchards. Shinn was an early adopter of best management practices, and he helped shape certain practices that have now been formally integrated into the statewide best management practices for citrus. Shinn implements composting, slow-release fertilizers and rotational cattle grazing to help protect Florida’s natural resources and reduce water run-off. Border areas surround the groves as a buffer to preserve habitats and provide a wildlife corridor. Shinn also samples new varieties of citrus and peaches for improved resiliency, and he shares this knowledge with the community and nearby growers. The winners will be recognized on Oct. 26, 2018, during the Commissioner’s Ag-Environmental Leadership Breakfast at the Florida Farm Bureau’s Annual Convention. For more information on the Florida Department of Agriculture and Consumer Services, visit FreshFromFlorida.com.